Parineeti Chopra has denied the rumors which were going on twitter that she could be the next heroine who is featuring on Salman Khan’s upcoming debut ‘Sultan’: According to the so-called rumors, Parineeti was acting in the lead role for Sultan. Might be some fan have seen her on the stage and got confused for her debut. 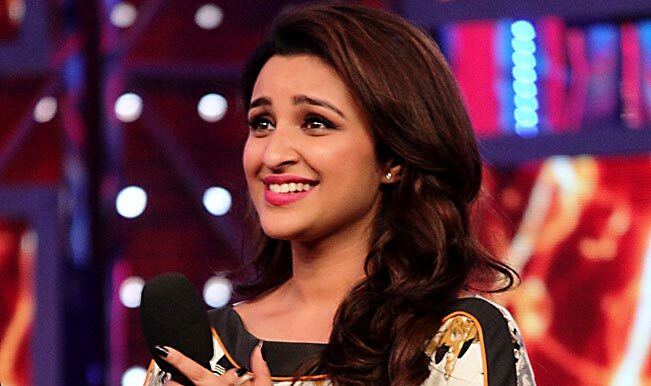 “Guys, I am not doing Sultan, please put all rumours and speculations to rest and let me announce my next film when the time is right,” Parineeti tweeted on Sunday. Apart from Parineeti some fans have even named Aishwarya Rai, Deepika Padukone, and Kareena Kapoor as the lead actress in Sultan. Most of the claims appears to be baseless as there is no official news about Salman Khan’s real partner for the movie. According to the report of some leading entertainment media house, the lead actress of “Sultan” movie will also play the role of a wrestler alike Salman himself and will have abrogating blinds in the character. Earlier last month Director Ali Abbas Zafar reveals, “The film will be shot from mid-November to mid-March. There will be one full schedule only.” that means the movie is probably going to release on the new year. The movie has been shot in 3 different locations in India i.e, Delhi, Mumbai, and Haryana. Having a touch of wrestling, the movie is one of the biggest releases of 2016. Salman is instructed for taking special diet in a course for the preparation for the picture. He has also increased his workout hours to get prepared. Moreover the situations are also tough for Salman Khan because of being found guilty for killing a person sleeping on footpath and he might face court trials during the period.